in children under 6 years of age unless directed by a doctor. sore throat is severe, persists for more than 2 days, or is accompanied by fever, headache, rash, nausea or vomiting. adults and children 6 years and older: dissolve 2 drops (one at a time) slowly in the mouth. Repeat every 2 hours as needed or as directed by a doctor. Children under 6 years: ask a doctor. sore mouth symptoms do not improve in 7 days. Phenylketonurics, contains phenylalaline 1mg per drop. Dietary exchanges based on Exchange Lists for Diabetes. © 2008 American Diabetes Associatin, American Dietetic Association. 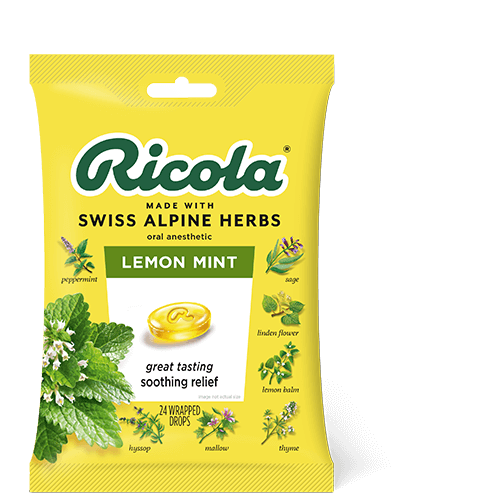 Get soothing relief for sore throats with the fresh lemony taste of Ricola Lemon Mint. It combines natural lemon balm extract with menthol sourced from real peppermint leaves. 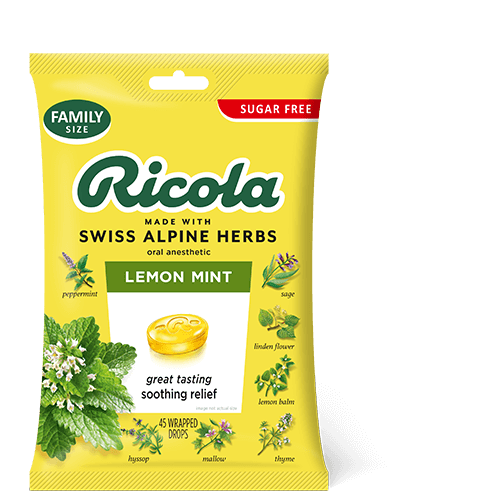 Plus Ricola’s unique blend of mountain grown Swiss herbs. 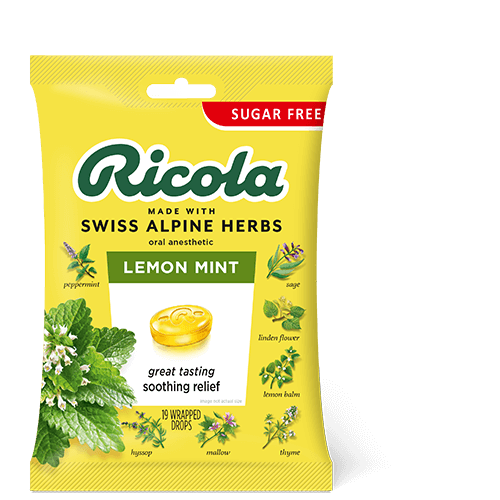 Ricola Lemon Mint is a refreshing answer to most any throat irritation. Also available in sugar free. Whether working, socializing, or taking care of family, your whole day can be lost when your throat is irritated and your voice gets hoarse. 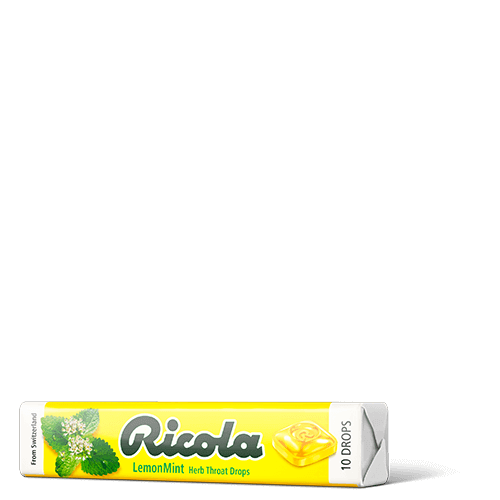 Ricola herb drops can soothe your throat to help you find your voice again.